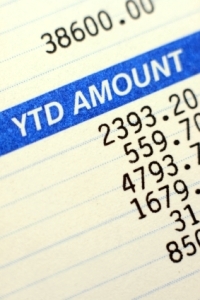 Processing payroll can take up a lot of time for today's small business owners. The economic uncertainties of recent times have seen the introduction of taxation changes which will also affect your payroll calculations. New income levies were among the charges introduced in 2009. By outsourcing your payroll function to us you will guarantee accurate calculations and compliance with ever changing taxation requirements. We will manage your payroll from beginning to end ensuring you meet all your obligations - both to your staff and to the Revenue Commissioners. We currently process the payroll for over twenty different clients. These range from sole traders with one employee to limited companies with twenty people paid weekly. We can offer a tailored payroll solution to meet the unique needs of your own individual business. We use a payroll system called Payback for processing the payroll of all our clients. 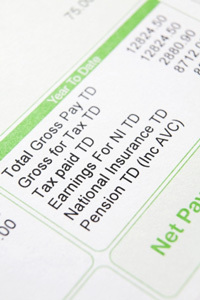 Payback is an Irish company with a payroll system developed specifically for the Irish market. As a registered tax agent, recognised by the Revenue Commissioners, we are authorised to file payroll tax returns on behalf of our clients. All our payroll tax returns are filed electronically using the Revenue Online Services facility. By using ROS we can also arrange for our clients' payroll tax liabilities to be paid online using single debit authorities. Electronic receipts are issued for all payments made and statements of accounts can easily be obtained. This enables us to know exactly how much a client may owe to the Revenue Commissioners at any point in time. We are also experts in the all-important year end processing - we will ensure your year end P35 returns are filed correctly and your employees receive their P60's early in the new year. We have also worked with the Revenue Commissioners on behalf of a number of clients who have been unable to pay their payroll taxes liabilities resulting from operating cash flow difficulties. For these clients we have successfully negotiated an instalment payment agreement with the Revenue Commissioners. 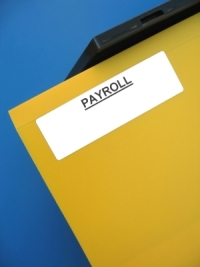 Once you've correctly processed your payroll you'll want to ensure that you account for all the outgoings correctly. We can assist with producing the correct entries for your accounts or bookkeeping system. Are you, for example, accounting for all the different elements such as employer's PRSI, income levy and other deductions accurately? We can prepare the correct accounting journals on your behalf to ensure you fully maximise any tax savings on offer. We can also prepare reports based on the underlying information contained in your payroll system. If you require analysis on departmental costs or other employee information then we can help.